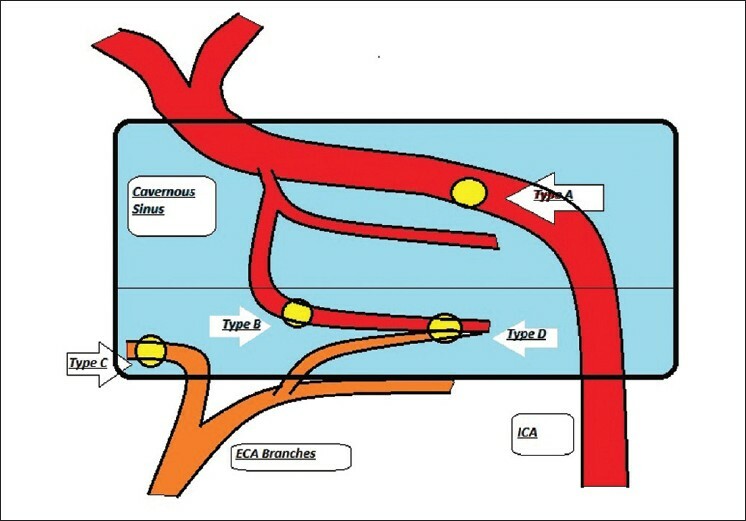 Direct fistulas occur from a tear in the cavernous segment of the ICA or, less commonly, from the intracavernous rupture of an ICA aneurysm. 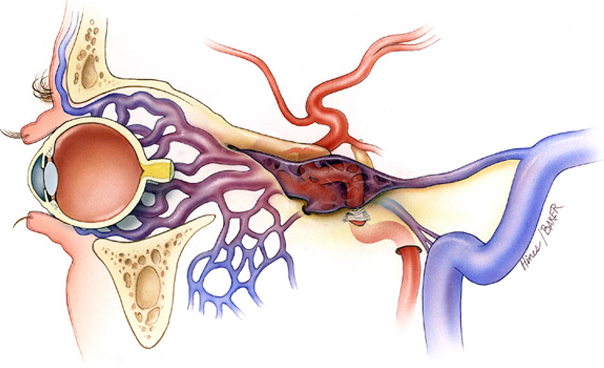 Varix of the cavernous sinus and pseudoaneurysm can both present with subarachnoid haemorrhage. 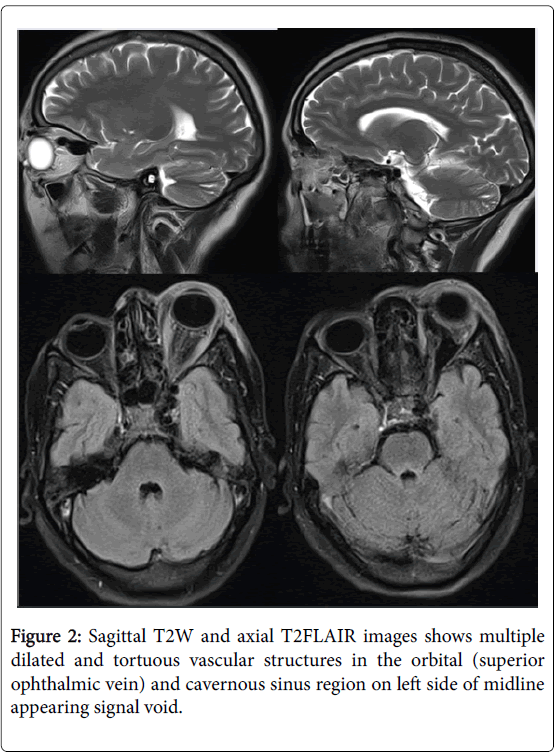 Noncontrast MRI may reveal enlarged cavernous sinus with multiple flow voids and dilated ophthalmic veins with soft tissue stranding in intraconal and extraconal orbital fat without obvious signs of any obvious mass lesion. ABC and ITU care if any SAH or significant bleed from rupture. Consider Neurosurgical referral and consideration for endovascular therapy. Gemmete JJ, Chaudhary N, Pandey A,Ansari S (2010) Treatment of carotid cavernous fistulas.Current Treatment Options in Neurology12:43-53. Korkmazer B, Kocak B, Tureci E, Islak C, Kocer N, et al. (2013) Endovascular treatment of carotid cavernous sinus fistula: A systematic review.World J Radiol 5: 143-155.